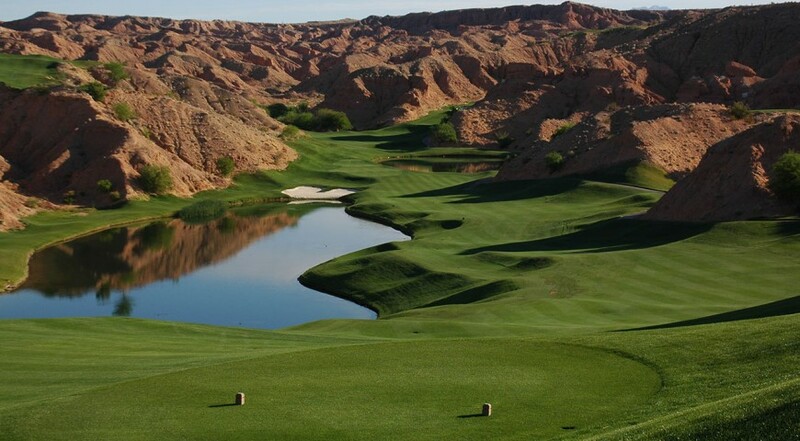 The “W” in Wolf Creek should stand for “wow” because that is what golfers usually say immediately after completing 18 holes at this stunning course located in the golf mecca of Mesquite, Nevada. Click to Visit Wolf Creek Golf Club, and Book a Tee Time! 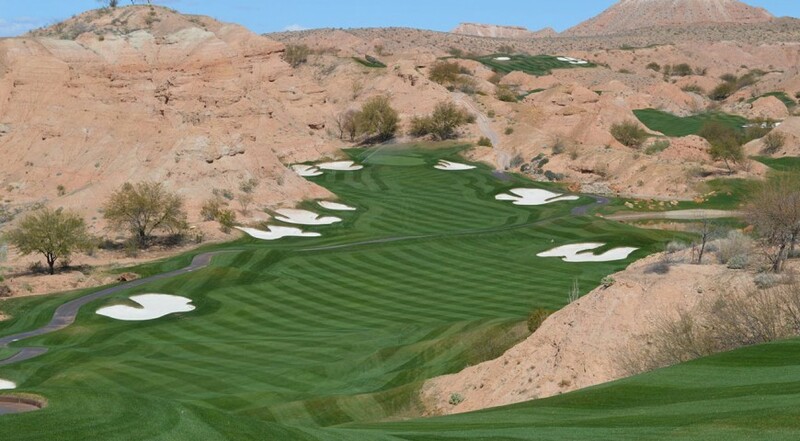 Wolf Creek Golf Club is 18 holes of “fantasy” golf that is located 77 miles north of Las Vegas in Mesquite, Nevada, a quaint golf destination that also is the home of several hotel and resorts including the award-winning Eureka Casino Resort. 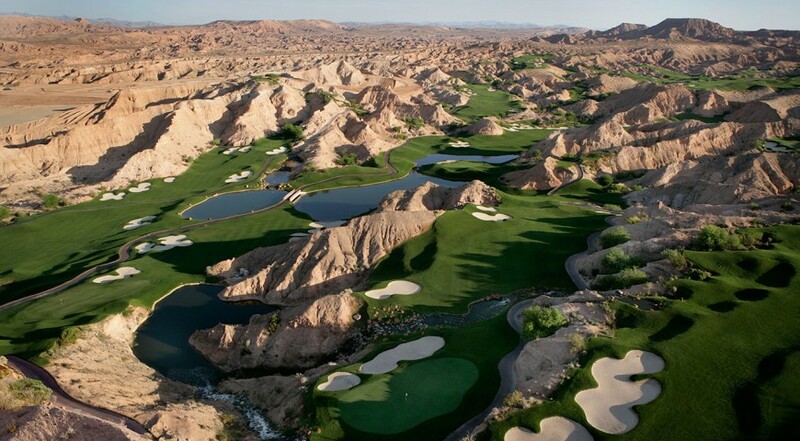 Wolf Creek Golf Club plays through the dramatic hills, canyons, ravines and desert of the beautiful southwest desert, and the course is now continually ranked among the Top 100 golf courses in America”, including in 2009 when it is included at number 51 by GOLF Magazine. The course was included in the EA Sports video game and soon will be part of the Rory McIlroy game. Other than Augusta, it is the most downloaded course in the games. Plus Under Armour is filming a commercial at the venue. The course is tucked into the northeast corner in Mesquite and is carved beautifully out of the desert. The layout will test your game with its stunning layout, overwhelm you with its dazzling beauty and its breath-taking views. Wolf Creek Golf Club opened to national acclaim in 2000. In 2002, Golf Digest picked Wolf Creek as “America’s Best New Course”. Since then, Golf Digest named Wolf Creek one of “America’s 100 Greatest Public Courses” and “America’s 50 Toughest Golf Courses” for 2007/2008 (#25 and #31 respectively). 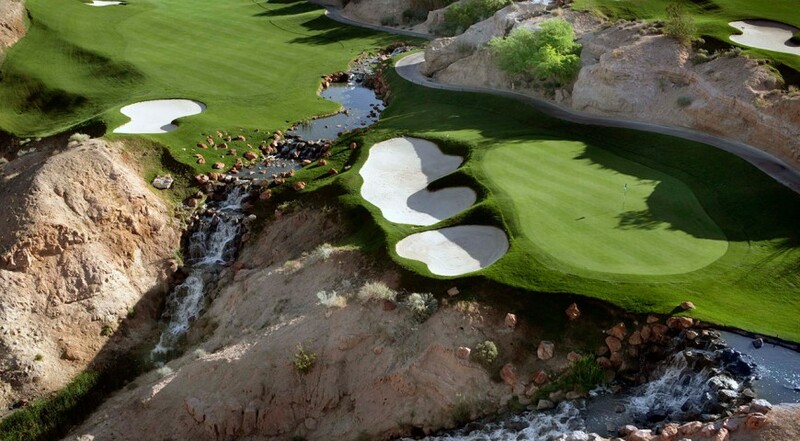 Golfweek placed Wolf Creek at #26 on its list of “Top 100 Resort Golf Courses”. And ZAGAT rated Wolf Creek as “Excellent” in its 2007/2008 Survey of “America’s Top Golf Courses” Wolf Creek was included at number 14 of the Top 50 golf course in a reader’s choice poll. Plus the course won a Facebook contest on Golf Digest and was chosen at the best course in that poll.